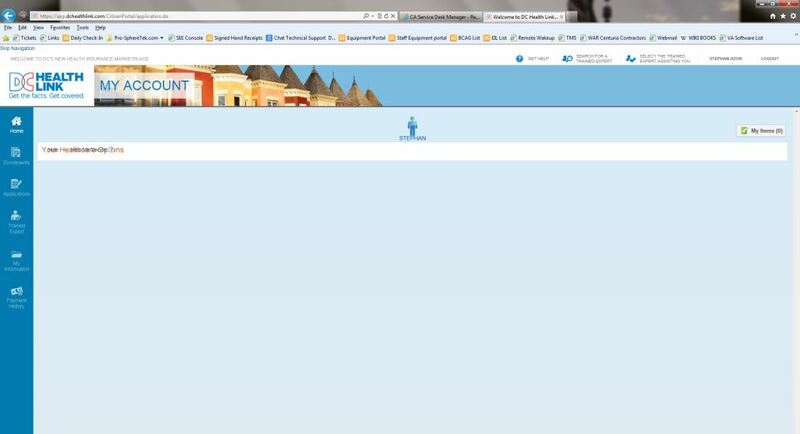 If you’re a DC Resident looking for healthcare coverage, you’re probably frustrated at this screen. Since 11/15 when the ACA reopened for open enrollment, DC Residents continue to experience failure by the DC HealthLink Team to provide a working website. This time with Internet Explorer, The website still fails to display any forms in order to apply for healthcare coverage. When are they going to fix this so DC Residents can get healthcare? This is unclear but I will continue to monitor this site until they get their act together.